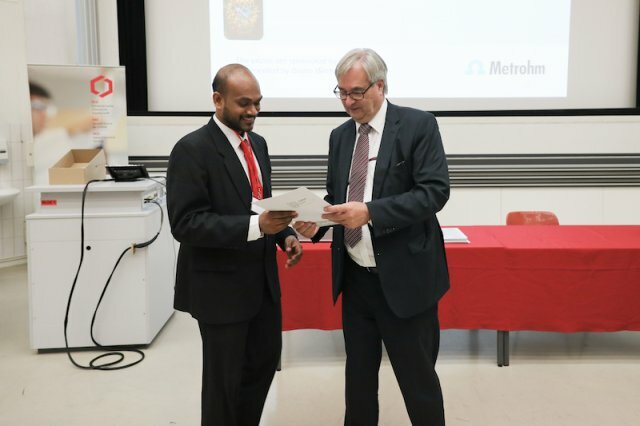 In collaboration with Metrohm, SCS offered again the very attractive and prestigious Fall Meeting Best Oral Presentation Award program. 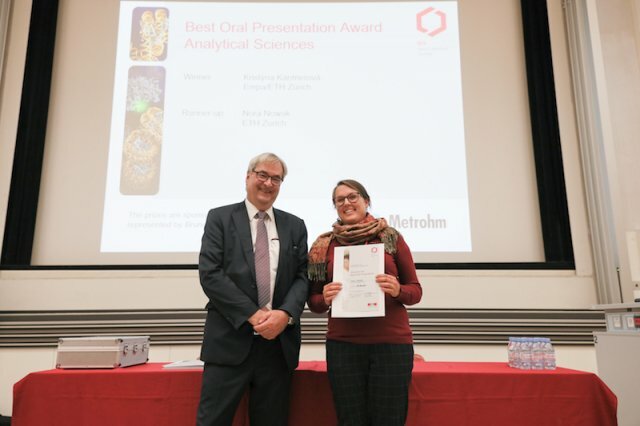 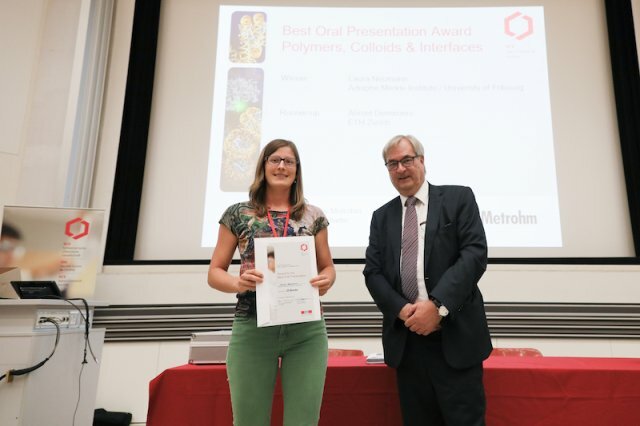 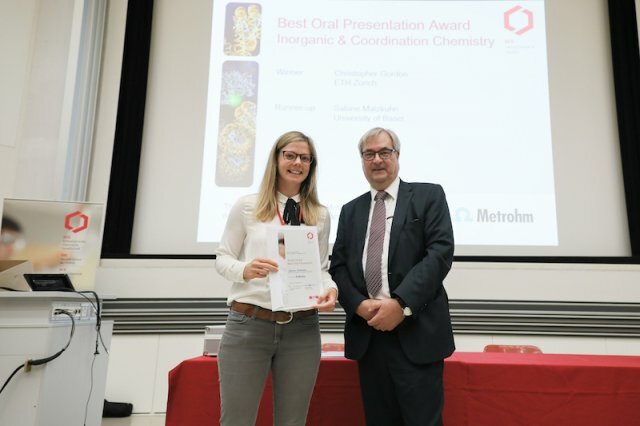 Combined with the Best Poster Presentation Awards program this is probably the most highly remunerated award program in the field, and we are very proud and happy to cooperate with our sponsoring partners. 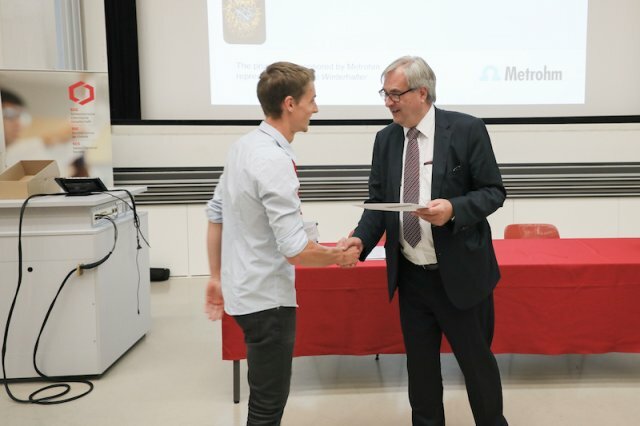 We wish to express our sincere gratitude to Metrohm for their generous support and congratulate all winners for their fantastic contributions. 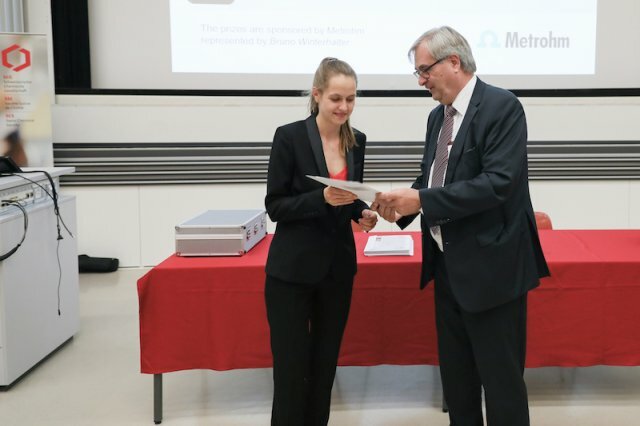 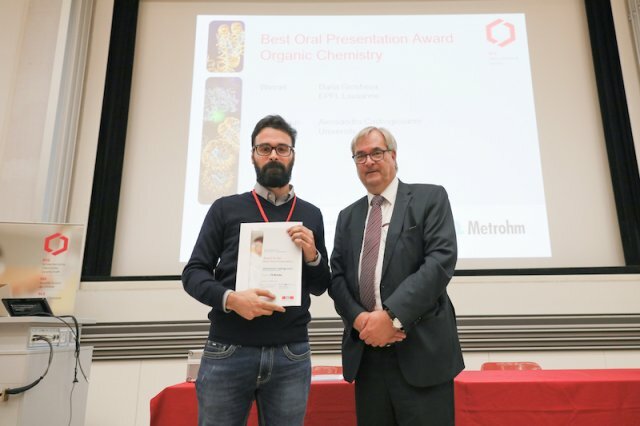 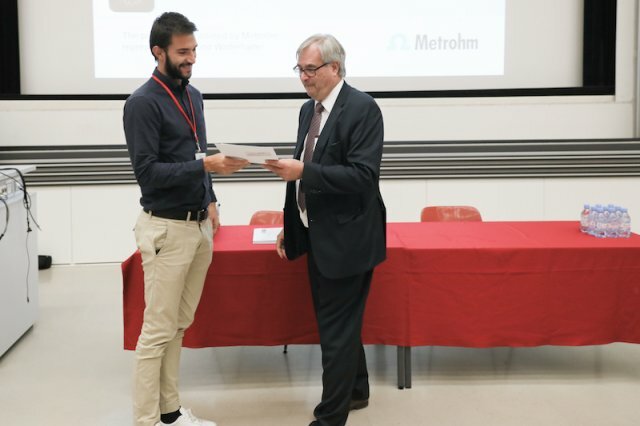 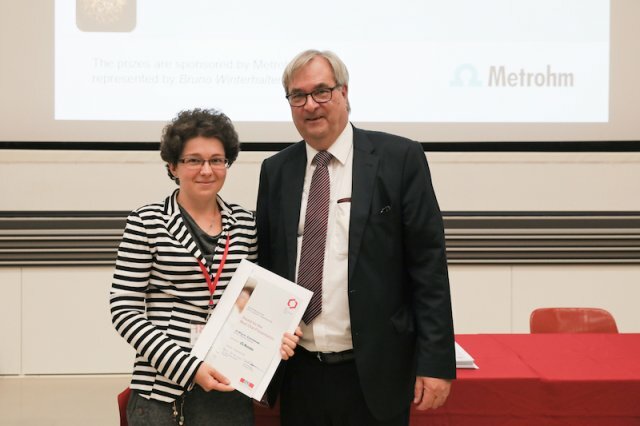 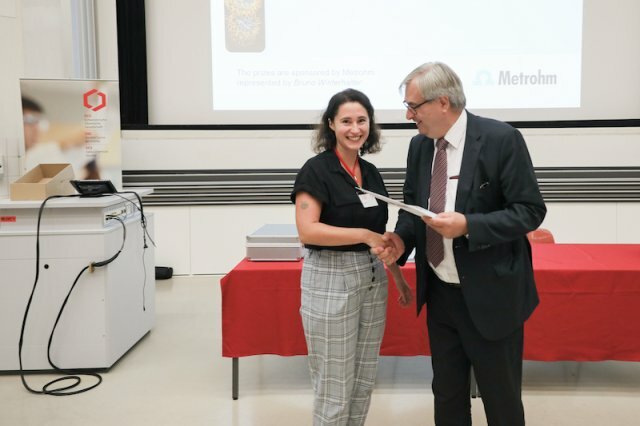 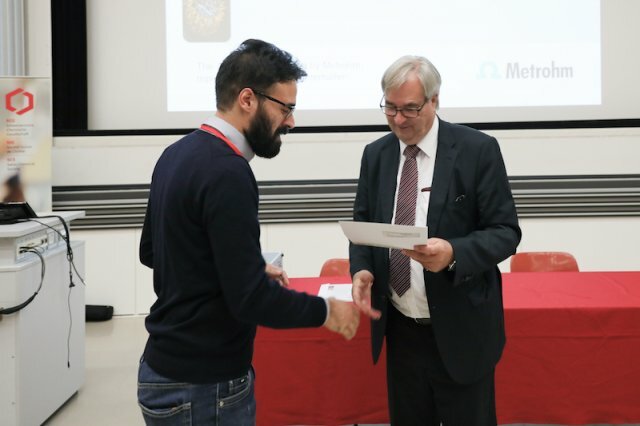 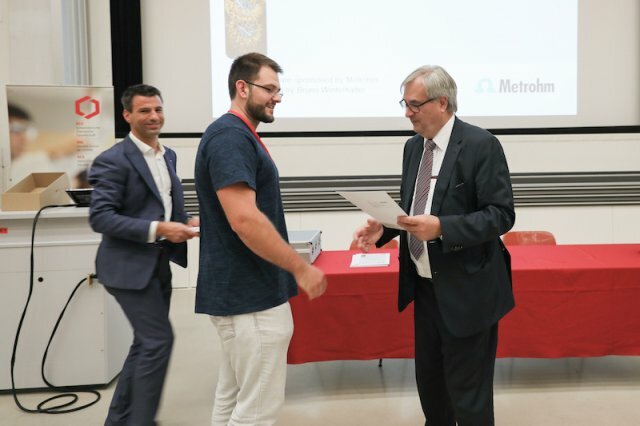 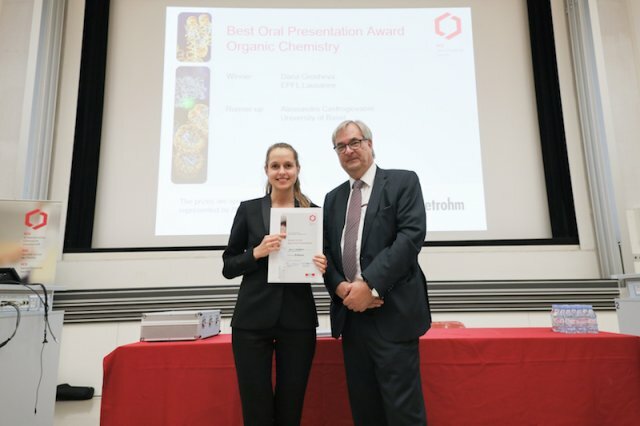 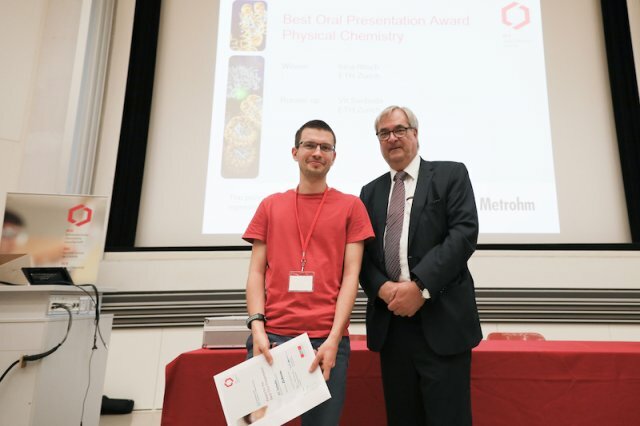 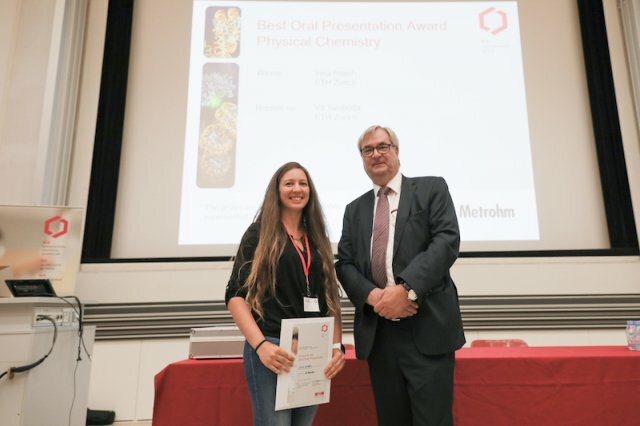 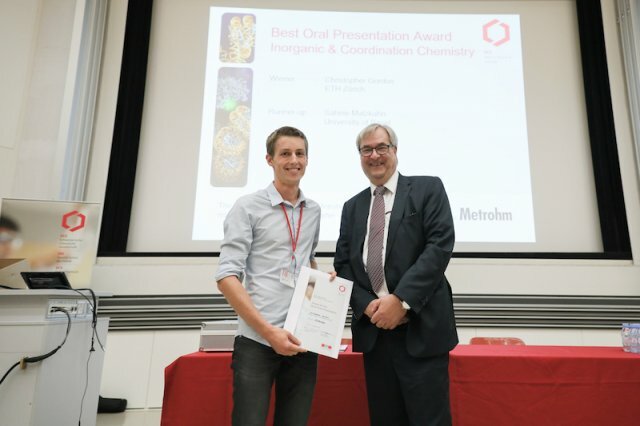 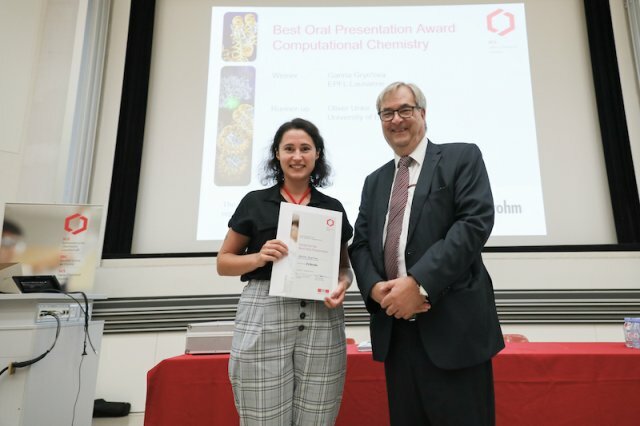 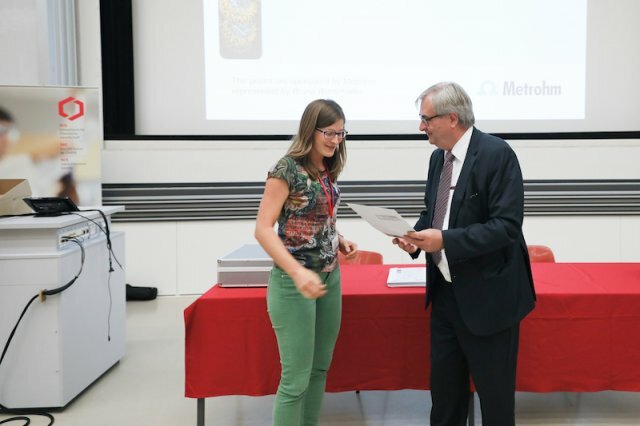 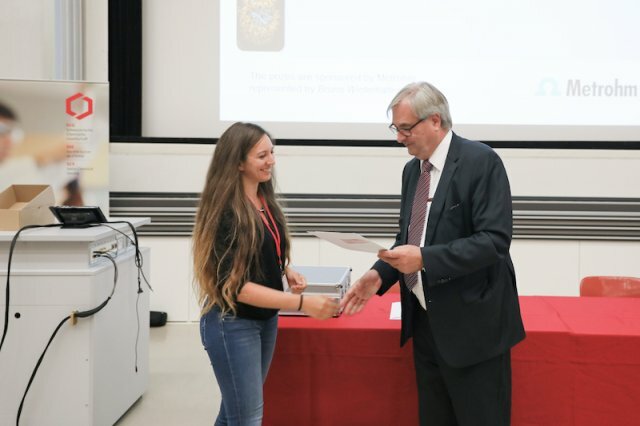 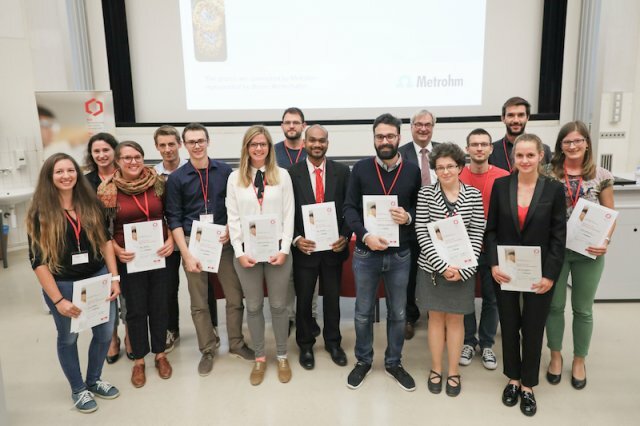 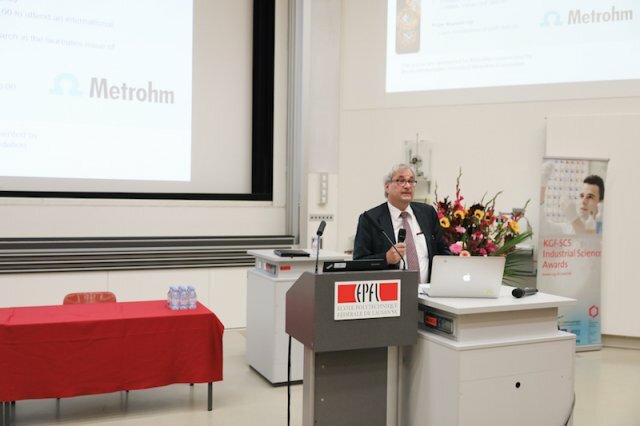 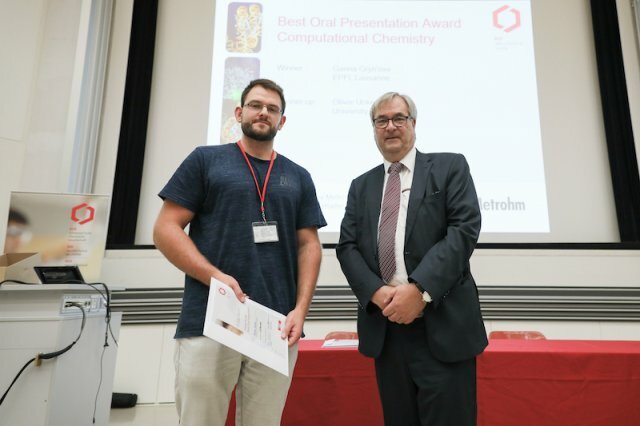 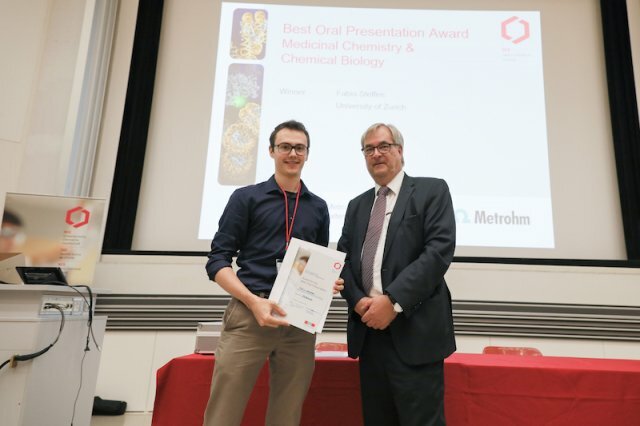 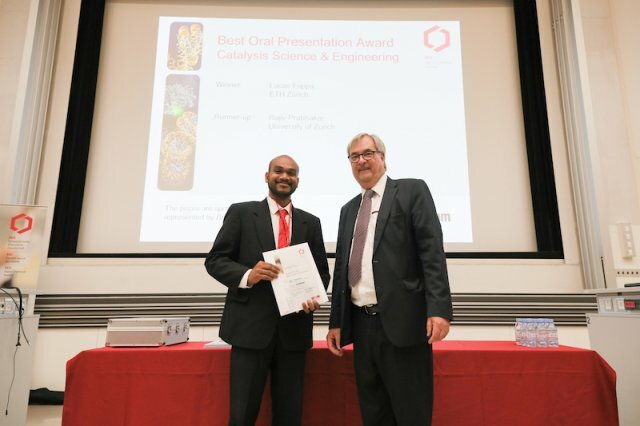 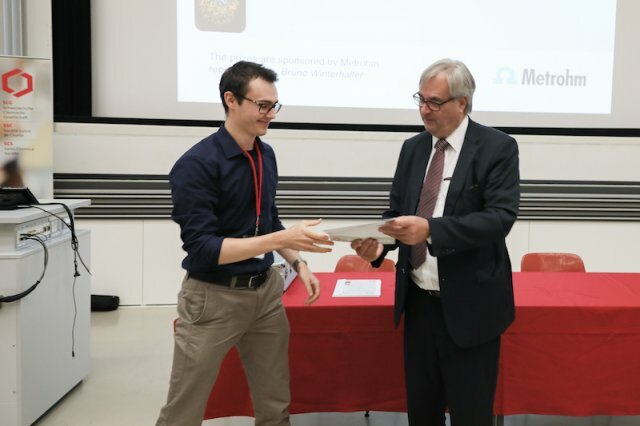 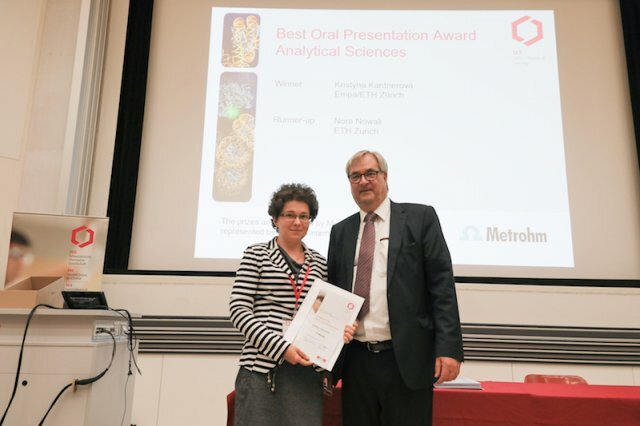 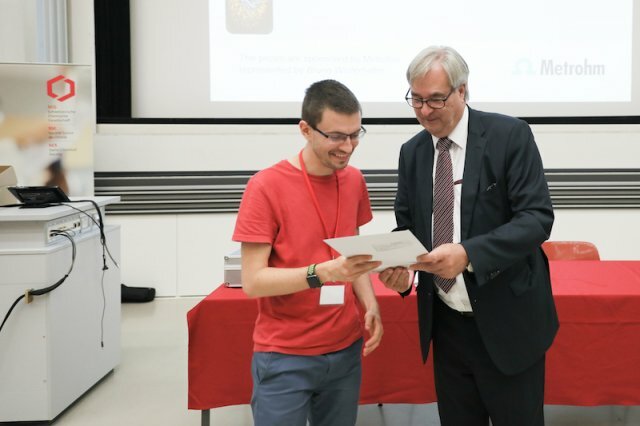 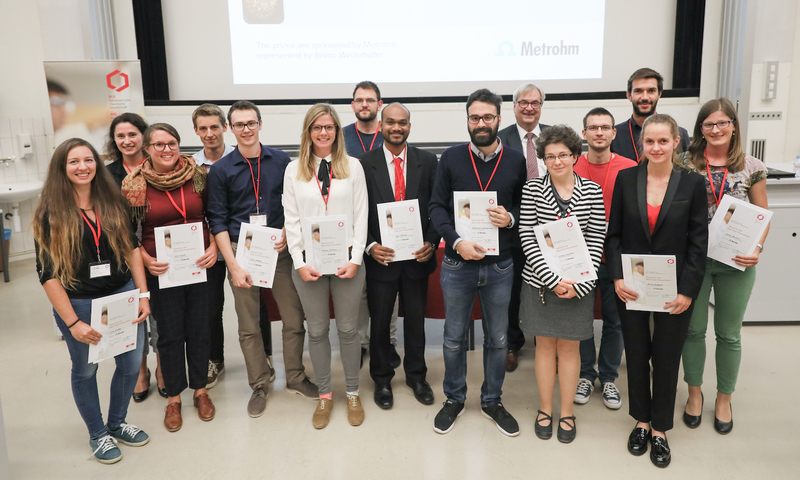 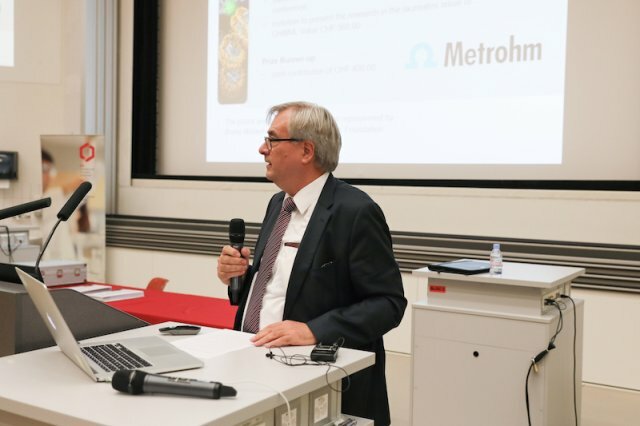 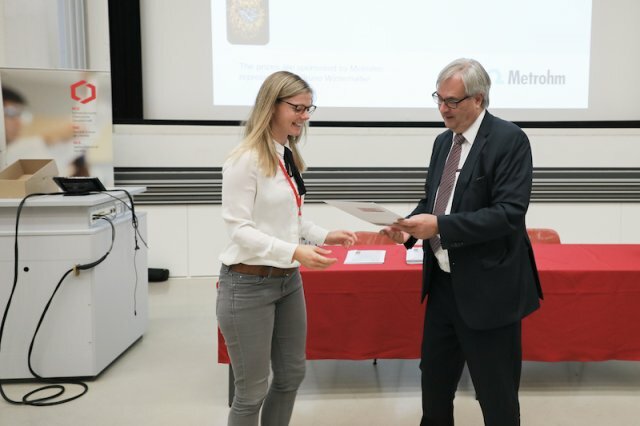 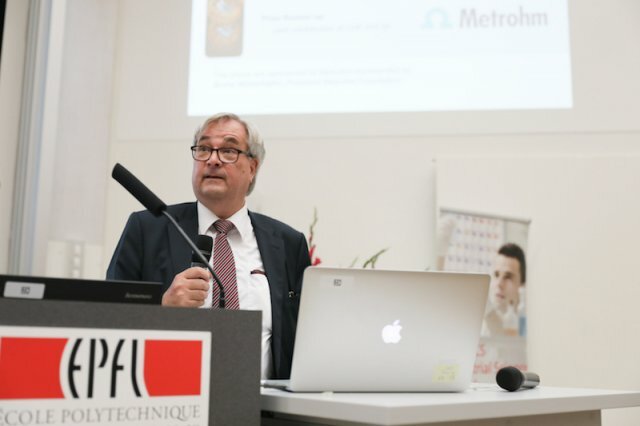 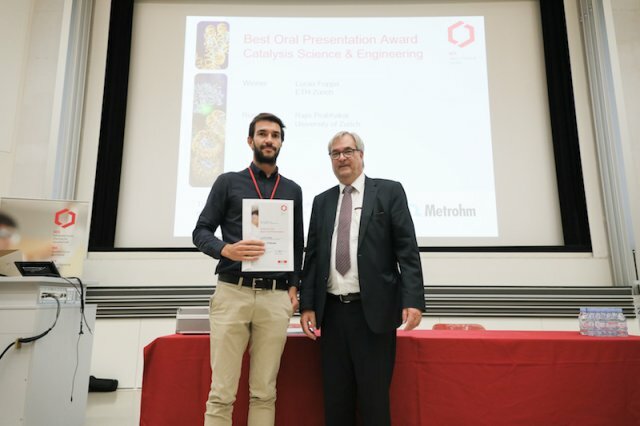 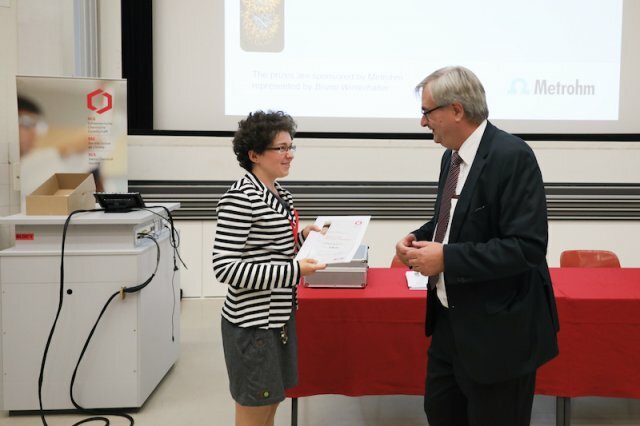 Bruno Winterhalter, representative of Merohm Foundation, awarded a total of 15 winners at the end of the SCS Fall Meeting at EPFL Lausanne on September 7, 2018.